Buy The Singular Fortean Society a Coffee. ko-fi.com/singularfortean - Ko-fi ❤️ Where creators get paid by fans, with a 'Buy Me a Coffee' button. The Singular Fortean Society bridges the gap between skepticism and belief; we know the difference between entertaining an idea and accepting it. A singular fortean is someone who strives to separate themselves from dogma in the pursuit of the unknown. We are each of us unique and remarkable, and it is our experiential perspectives that allow us all to add to the base of knowledge through which we gain a deeper understanding of the paranormal. We think it's entirely possible for opposing viewpoints to both be right, and that speculation is good in the name of discovery. And most importantly, we believe that only by coming together and sharing ideas can we begin to take the holistic view of unexplained phenomena necessary to bring its study into the 21st century. Secured Payments. 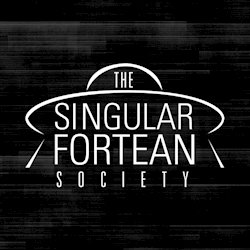 Support goes to The Singular Fortean Society's account. Upgrade The Singular Fortean Society to a yearly Gold Membership with a one-time payment.